I always love getting revisits from great roasters, especially ones from Chicago, as the windy city seems to be home to some of the warmest coffee folks in the industry. 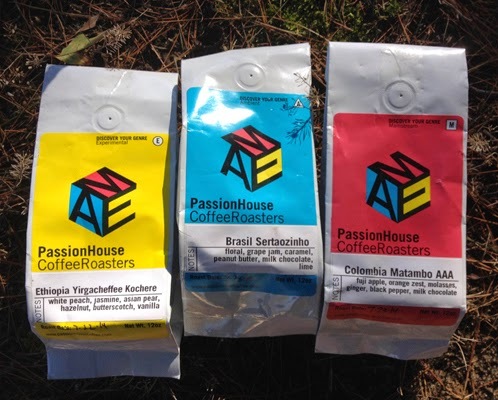 Some months ago I got my first real interaction with Passion House Coffee Roasters (a tremendously pleasant one) and as a recent follow-up, I got a full taste of their Ambient-Mainstream-Experimental spectrum with three coffees each championing a genre: their Brasil Sertaozinho representing Ambient, Colombia Matambo volunteering as tribute for Mainstream and Ethiopia Yirgacheffe Kochere standing up for Experimental. I brewed each coffee via pourover, french press and siphon. The Brasil was first to land in my grinder. The pourover pumped out Twix, strawberry, malt, oats and cream within a medium/heavy body, making for a smooth but malty-thick infusion with lots of sweet flavors. The french press proved heavier with the cream and a cookie-and-caramel-plus-chocolate flavor, followed by apple, oats, tomato, bran, a little tobacco and a touch of birch. 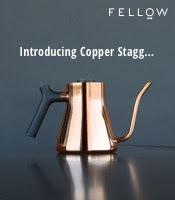 The siphon held cocoa, caramel, strawberry, cream, malt, oats, a touch of pepper and a little brussel sprouts within a medium body, making for a thickly sweet brew with heavy cocoa and light fruit. The Ethiopian Yirgacheffee Kochere drew my eye next and did not disappoint. The pourover pitched cocoa, blueberry, seaweed, coriander, vanilla yogurt and jasmine. The french press made for a sweetly brighter coffee, with blackberry jelly, currants, pound cake and a little rosemary amidst a light body. The siphon finished off the trifecta with chocolate, fresh cherries, cake, a little celery and a little wheat, proving sweet and supple with a moderate brightness. The Colombia Matambo AAA in the end won my hunger games, as it stood out as the best of the three. The pourover locked in apple, ROLOs, cashews and whipping cream in a medium body. The french press kept it consistent, with wheat, chocolate, caramel, rhubarb, cashew and cream, proving sweetly tantalizing and luscious in its flavor demonstrations. 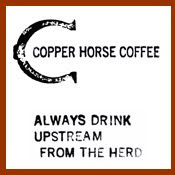 The siphon was particularly (and pleasingly) potent, with loud caramel, chocolate chip cookie, light fig, whipped cream and baked apple in a light bodied coffee sure to knock anyones' socks clear off. In a nutshell, these coffees were tremendous testament to the continuing excellence that goes on at PHCR. Make sure to check out their three genres and/or any of these coffees.